If you’ve ever found yourself daydreaming about your future, you’re not alone. The reality is that most professionals have yet to find their dream job, but there’s still plenty of opportunity left! Some of the most in-demand employers include big names such as Google, Apple, Microsoft, Facebook, Pepsico, Expedia, Accenture, and much more. Even if your dream employer isn’t on this list, chances are that you’re facing stiff competition for your dream job. Though you have the experience, resume, and connections for a position, that may not be enough to land a competitive spot. So what does it take? Confidence. 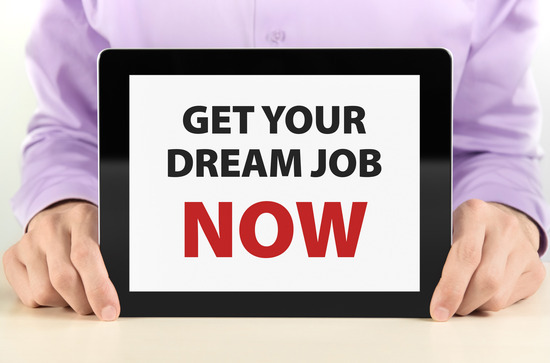 You must believe it’s possible to achieve your dream job. Confidence is deep-rooted and will affect everything you do, such as crafting your resume or answering tough interview questions. The more confident you are as a candidate, the more appealing you’ll be to a prospective employer. A good fit. Remember, not every job is for everyone. Just because an opportunity is good, it doesn’t mean it’s for you. Be sure to evaluate your goals and whether or not the career and culture of the industry match who you are. Your long-term happiness and the success of the company often hinge on a good fit. Timing. Your dream employer isn’t going to always be hiring. You have to be realistic about opportunities that you pursue and keep your skills and experience competitive in the meantime. At Lifestyle Retail Recruiters, we’re passionate about job candidates like you and hope to play a role in helping you find and land your dream job. Be sure to check out our blog for the latest advice about job hunting in today’s economic environment. For more tips about getting a job with your dream employer, be sure to read this compelling career advice from Lindsey Pollak.